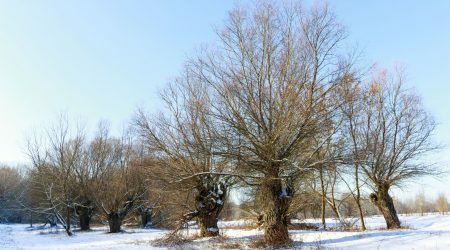 Veľkolélsky ostrov Island or Nagyléli sziget is known on both sides of the Danube river as one of the last large Danube islands covering more than 250 hectares of land. Veľkolélsky ostrov island is named after a nearby settlement Veľký Lél which got its name after Hungarian commander Lehel or Lél executed in Germany in the 10th century. The settlement Veľký Lél as well as the island itself are part of the village Zlatná na Ostrove (Csallóközaranyos) today. The earliest reference about the village dates back in 1094 with the name Locus Aureus. Each name suggest it was common to wash gold here. Danube waters created in this place a meander in which large amounts of gold used to settle down in the river sediments. Even today if you are lucky enough you can spot small golden parts in the sand. However, gold is not the main treasure of this land today and there is another reason to come for the visit. At the main road a channel approaches the river – it used to be the river arm of Danube in the past. It will lead us to the settlement Veľký Lél which used to flourishe with its farm, beautiful park and a good smelling distillery. Today we can find only its ruin with chimney and unfortunatelly there are only few houses left inhabited. Locals used to breed cows, horses, sheep, they grew cereals and corn. The Island could be approached only through a ford way therefore it served as a suitable and safe pasture for domestic animals. In times of floods when the Island became flooded, the animals were moved away on the dry land near the village. 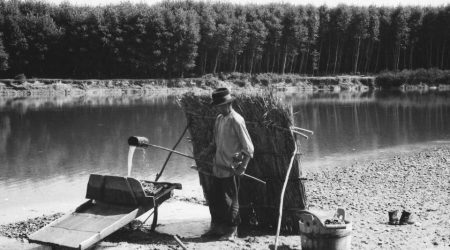 Wet meadows and pastures that could be found in lowlands and in the surroundings of larger rivers, were much more spread than in the present because they managed to feed flocks of domestic animals all year round. The constant supply of fertile mud from Danube river caused fast grow of grass and wide leaf herbs. Regular grazing and mowing contributed also to the picturesque image of grassland with the rare fauna and flora. 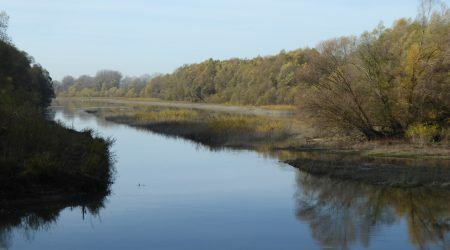 Veľkolélsky ostrov island represents today a unique mosaic of forest, wetland and grass habitats. Floodplain forest – hard (with ash, elm and oak) as well as soft (willows, poplars) covers almost half of the island. For its rare preserved condition part of the wildwood forest was declared nature reserve in 1974. Todays „wildwood reserve“ originated with the help of long-term work of the Nestor dealing with nature conservation – Andrej Stolmann. The reason was a large colony of grey herons but unfortunatelly conservation of this species was not really transfered to the reality – in the times of designation of this nature reserve there was a huge logging in the surroundings and herons moved to a small island on the Hungarian side of the Danube. From one side the island is bordered by the main Danube stream and by the relatively wide Veľkolélske rameno branch from the other side. In the past, water in the river branch flew freely. However, after regulations in 1980s, majority of the water became stagnant. After a time the branch became overgrown by sedges and willows. The wet meadows in the area bordered by robust poplars and pollard willows were not yet in the centre of interest by conservationists. In Slovakia, these rare communities serve as habitats for many threatend species (beetles and butterflies) as well as for unique Pannonian hygrophilous flora. After the decline of livestock production the meadows started to be overgrown by weed and invasive species brought by the river. It wouldn´t have taken much time and the Island would have become indistinguishable. Fortunatelly in 2004 – 2005 the island became a part of Special Protected Area SKCHVU007 Dunajské luhy and so it was included in the European network of protected areas Natura 2000. The island is also an independent Special Area of Conservation SKUEV0183 Veľkolélsky ostrov covering 328,65 hectares. This year brought wider possibilities regarding nature conservation and management on the island. Maintainanace of Veľkolélsky ostrov island is supported by Regional Association of Nature Conservation and Sustainable Development – BROZ in the cooperation with State Nature Conservancy of the Slovak Republic and local people. With the help of several projects financed by foreign funds, European Union, national and private resources a unique partnership was built and later it included also water-resourse managers, foresters and local farmers. In 2006 BROZ managed to lease and purchase most of the land of the island for the purpose of nature conservation. This step enabled new managers to establish numerous measures for the improvement of conservation state of different habitats on the island. A typical feature are so-called „pollard willows“. After many years of neglecting the trees they started to be restored and cared again. Regular pruning of the branches in several-year intervals for the purpose of gaining firewood creates typical „hollow willows at the creek“. Their disturbed bark and decaying hollows are homes for many rare beetle and bird species. However, when left unpruned regularly, the branches become too heavy and the trees break up. Landscape value of the island is supported also by a solitary oaks in the middle of meadows. 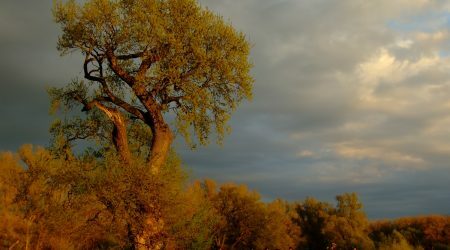 Besides the fact they themselves are habitat for many insect species and nesting birds, they also serve as the rich resource of acorns that are used for planting new seedlings for the purpose of restoring floodplaing forests in Danube region. Natural forest habitats are left on self-development. In disrupted parts of the forest new seedlings of native trees are planted after removing the invasive species – white and black poplars, willows, oaks, ash and so on. Starting from the edges of the forest a new young self-seeding trees of unnative species spread on the meadows. Majority of them are American „visitors“ like box elder, American ash and green ash. Since 2009 BROZ managed to remove unnative herb and tree species with the help of four-leg animals. Thanks to LIFE project a flock of cattle moved to the Island in cooperation with the local farmers. These originally natural inhabitants of Danubian wet meadows and pastures had a task to graze the area overgrown with thistles, invasive and unnative species like Canadian goldenrod. Less accessible areas and prickly bushes are eaten by a large flock of sheep and goats. 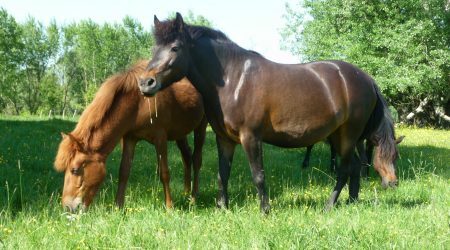 Among common farming breeds visitors can see traditional breeds from Hungarian steppe, grey horned cows (szürke marha), black racka sheep with long twisted horns and native Slovak breed of horses – huculs. Veľkolélske rameno branch was cca 20 years ago cut from the main Danube river stream due to the planned construction of water power plant Nagymaros. Concrete road was built to make it easier to get to the Island but unfortunatelly it slowed down the water stream. The river branch was therefore without sufficient water flow so it was overgrown by trees and filled with sediments. 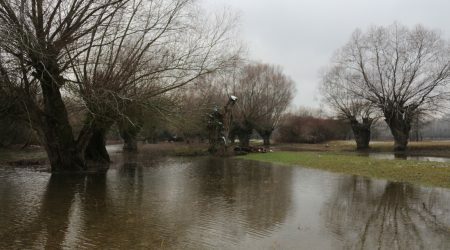 Abundant water flow appeared to be only during floods when the water level of Danube raised higher than the island itself. However, it was not enough for proper flushing of the branch to get rid of the sediments. In 2014 BROZ managed to restore the water flow in the branch through program LIFE – embankments in the estuary were removed together with concrete barriers at the outflow, which enabled fish to migrate freely into the spawning nests on the island. This helps the birds bound to water to enrich their food and nest habitats. 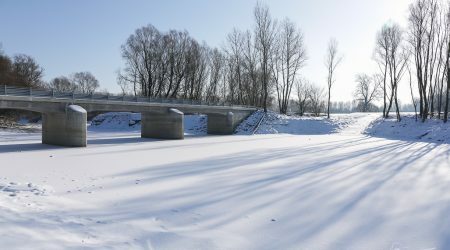 In the next year 2015 BROZ managed to remove the last barrier (dam which also used to serve as a road to the island in the past) and in this place a new bridge called „Mahulienin most“ was built to ensure the approach to the island and the water was again able to flow freely under the bridge. On the southern part where the island is washed by Danube the banks are covered by large stones that are supposed to stop the river erosion. However, they also cover the original sand or aluminous bank profile that used to be a favourite place for nesting of several bird species especially sand martins. In several parts of the island these stones were removed which helps the bird species to return to Veľkolélsky ostrov island. Kus prírody pri Dunaji na ostrove Veľký Lél neďaleko Komárna zachraňujú kravy. Pomáhajú im kone, kozy a ovce. Pridali sa aj vodné byvoly a somáre. Hospodária po starom. Voda je život. Fantastickým dôkazom je Veľkolelské rameno na Dunaji. Ešte neprešli ani tri mesiace, odkedy sem bagre znova priviedli vodu a z hynúceho lužného lesa sa začali ozývať vtáky. Práce na pripojení Veľkolélskeho ramena k Dunaju pri obci Zlatná na Ostrove v okrese Komárno vrcholia. Investori a realizátori dnes priamo na mieste činu predstavili novinárom výsledky projektu LIFE – Ochrana vtáctva Podunajska, ktorý sa realizuje na jednom z najzachovalejších dunajských ostrovov.